Have you ever been in a situation where you were hurt or embarrassed and you said to yourself, “I’ll show them.”? I have on many occasions. I can remember thinking something along the lines of, “If I win the award, that will teach them.” Or “People will take me seriously if ….” It’s seems odd to me that as I write this, I cannot remember any of the offenses that caused me to have those thoughts, but I clearly recall thinking them. I hope, and pray, that my lack of recall stems from truly forgiving those who hurt me. David then clearly and specifically asked God to destroy his enemies. He asks that God cut his enemy’s life short, leaving his wife and children with no means of support, so that they have to take to the streets as beggars. He furthers requests that no one show kindness to this family and that the family name be blotted out. There will always be mean people in this world, and when we encounter them, we often wish evil on them, as David did. Or we hope to show them up. If we can play fair and still win, that will really show them. Or if God blesses us mightily, they will wish they had been nicer, fairer, kinder. This sentiment is expressed by David near the end of this psalm. If David, a man after God’s own heart, wanted to show up his enemies and disgrace them, we cannot hope to feel less animosity toward our enemies. The desire to show up one’s enemies and force them to realize that God is blessing you is a natural one. However, like David, we need to remember that if God answers our prayer as we desire, it is for His sake and for His glory that He does so. David reminded God that since David is his servant, God is glorified when David prospers. We should also remember that David’s son Solomon advised treating our enemies with kindness. “If your enemy is hungry, give him food to eat; if he is thirsty, give him water to drink. In doing this, you will heap burning coals on his head, and the Lord will reward you.” (Proverbs 25:22) Solomon is reminding us that although we may pray for God to embarrass our enemies and show them up by blessing us, we are still to treat our enemies fairly. 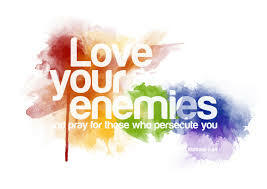 And Jesus taught us to “Love your enemies and pray for those who persecute you.” (Matthew 5:44) Justice is to be left to the Lord. So, the next time you feel like showing up your enemy, maybe you should stop and pray for him. Ask God what kindnesses He would have you show him. You may be heaping burning coals on his head, but you may also open his eyes to the love of the Lord, and in doing so, your enemy may become your brother in Christ. What situations have occurred in your life where you really wanted God to honor you in a way that would show up your enemies and make them take notice that God had blessed you? 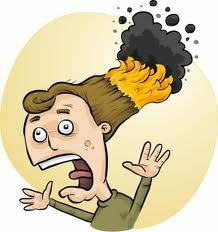 How have you ‘heaped burning coals’ on your enemy’s head?